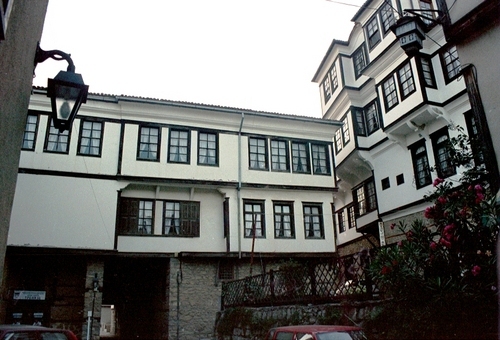 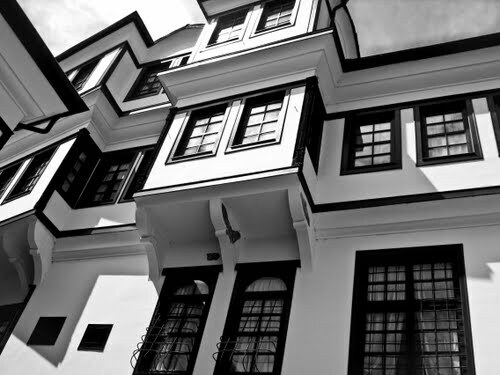 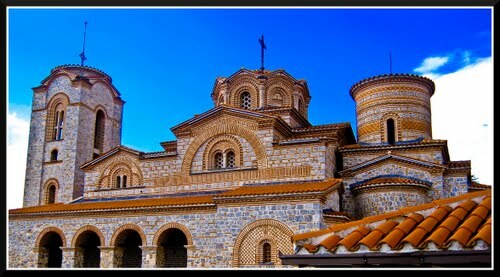 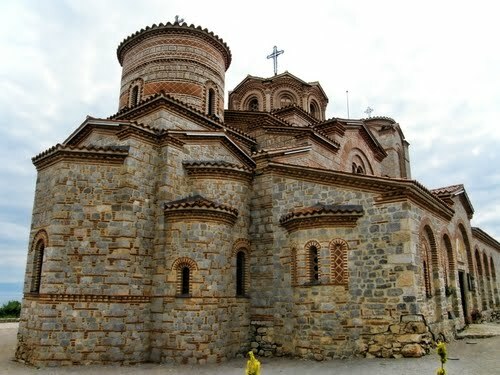 The church Saint Sophia is one of the most important monuments of Macedonia, housing architecture and art from the Middle Ages. 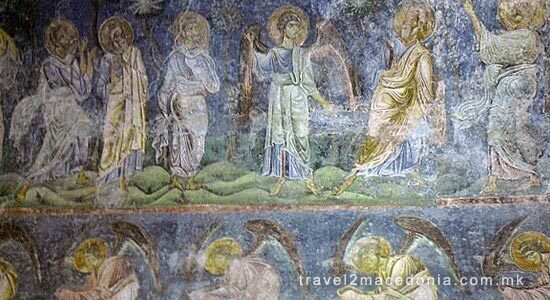 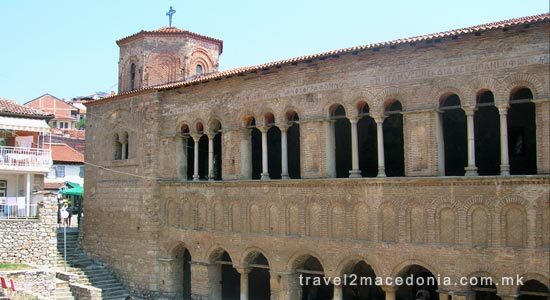 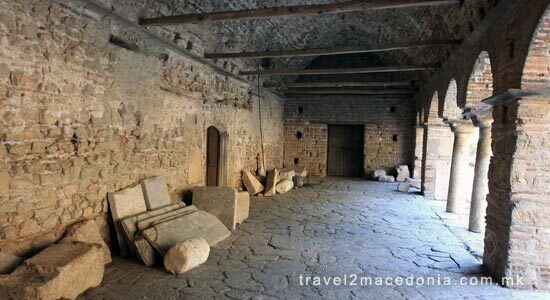 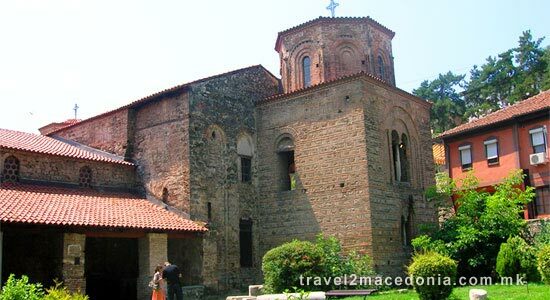 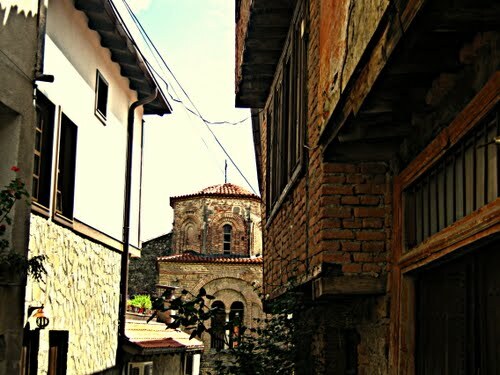 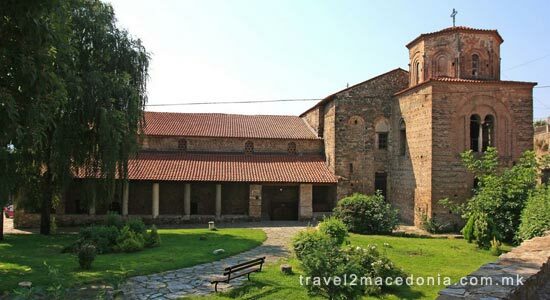 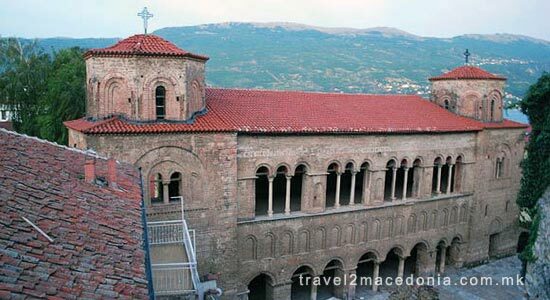 This church, was originally the synod church of the Ohrid Archbishop, and later converted to a mosque, has preserved in its interior the traces of several time-period: frescoes from the 11th, 12th and 13th century. 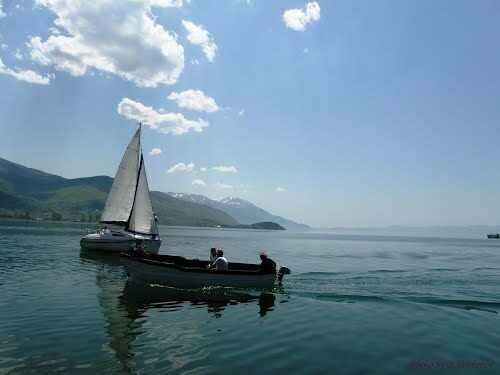 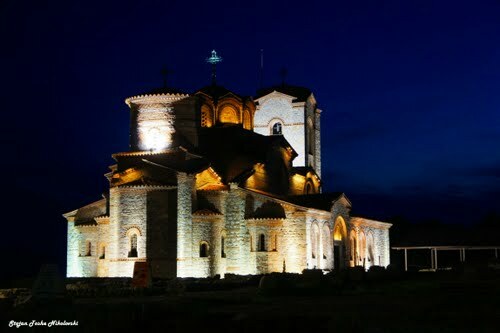 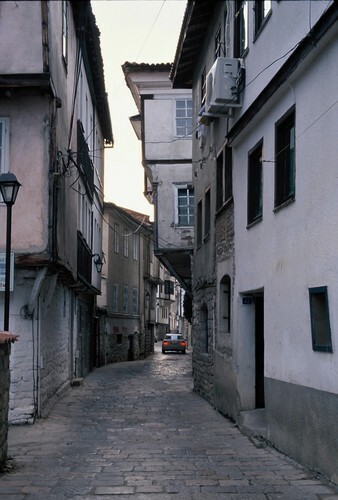 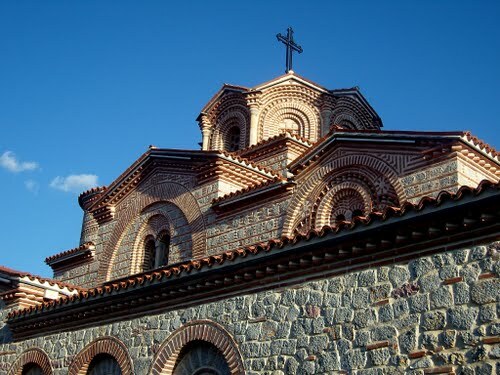 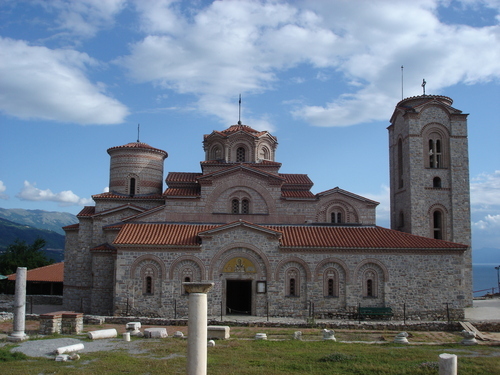 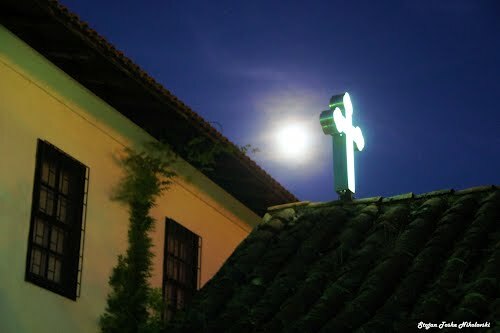 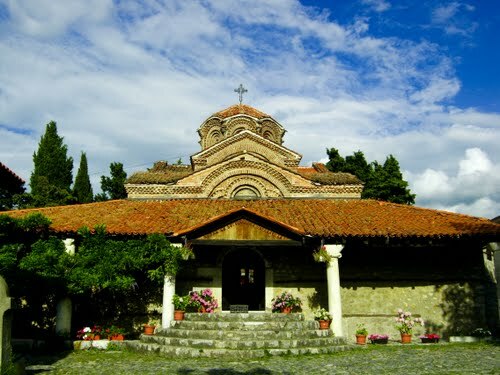 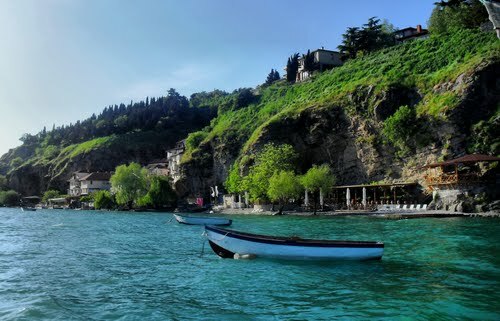 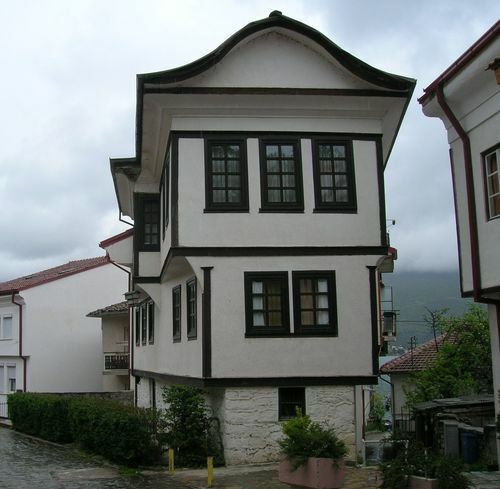 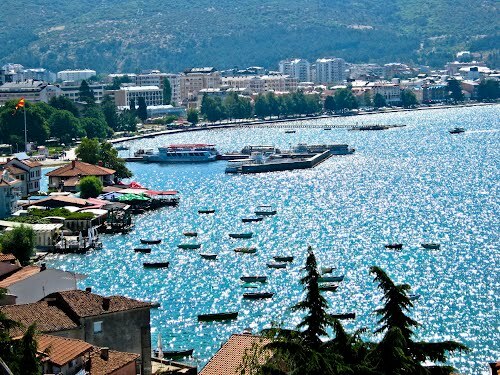 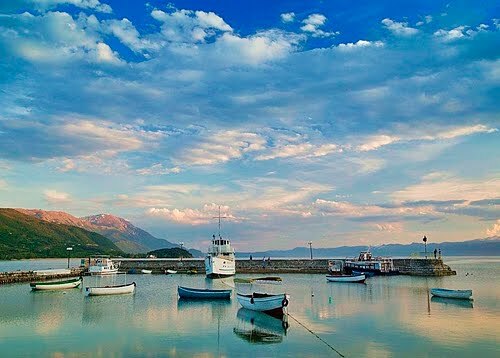 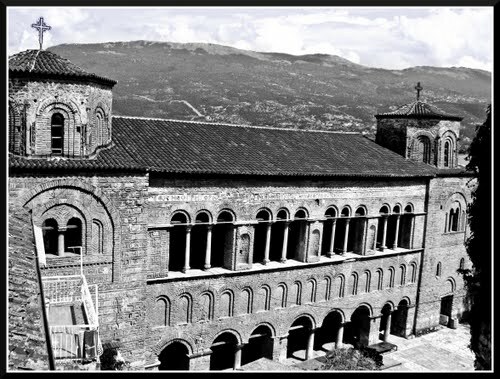 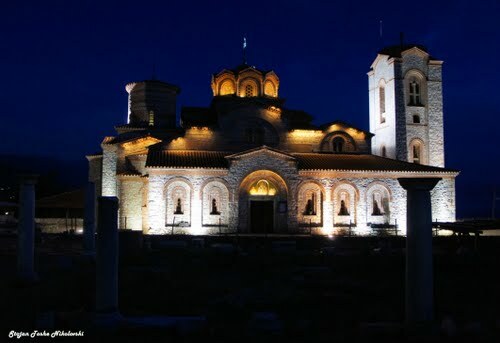 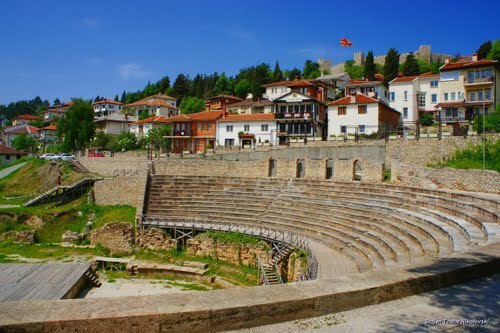 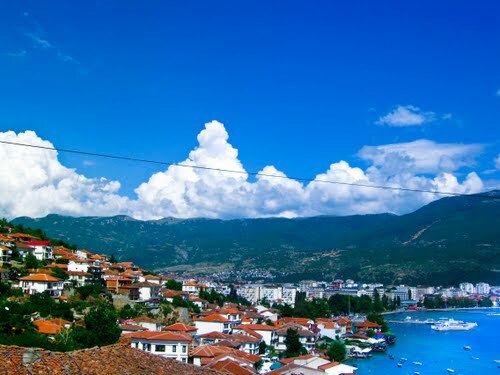 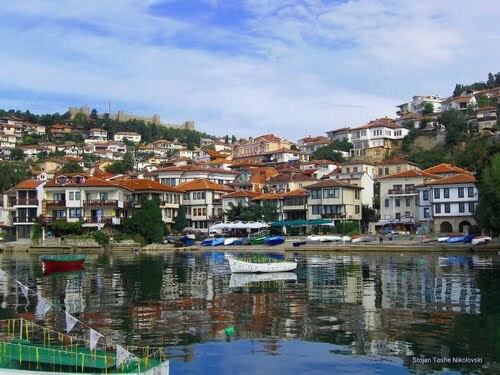 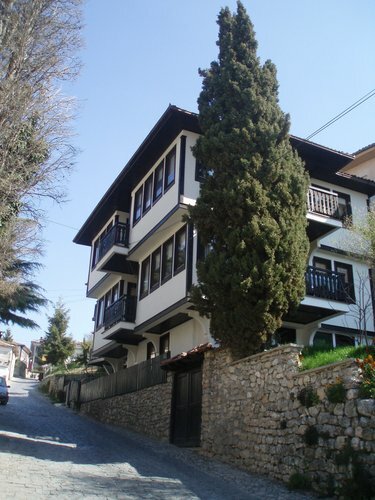 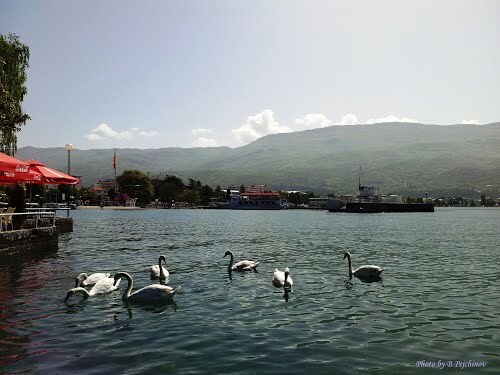 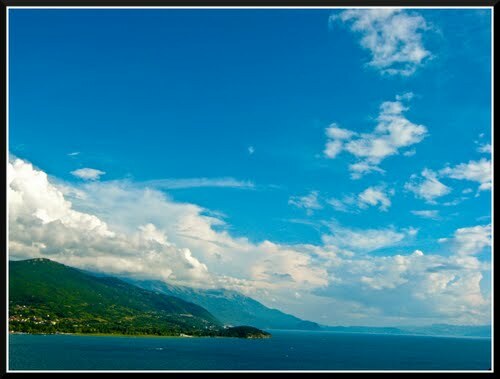 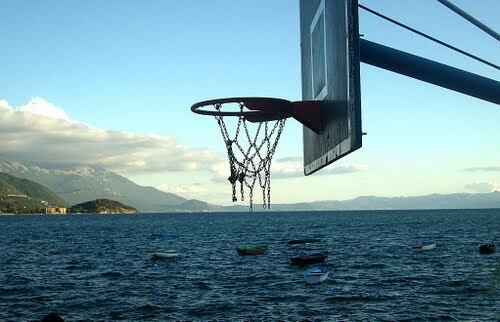 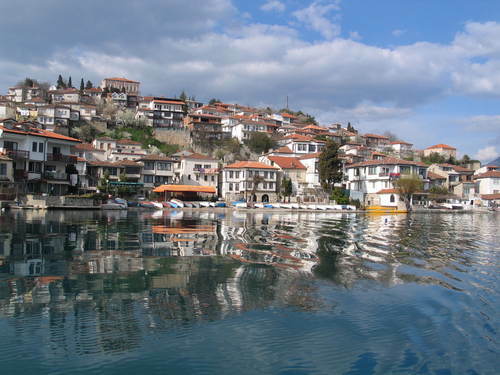 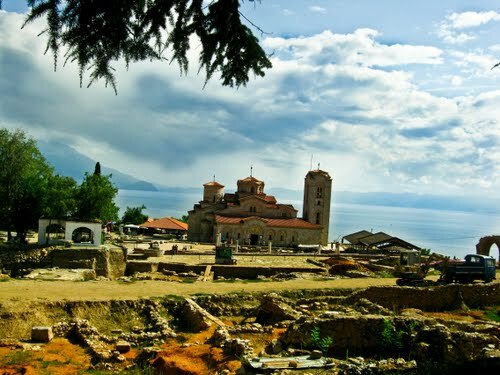 For a long time it was the cathedral church ("Great Church") of the Ohrid Archiepiscopate whose ecclesiastical authority covered the territories up to the river Danube to the north, the Albanian coast to the west, and the Bay of Thessalonica to the east. 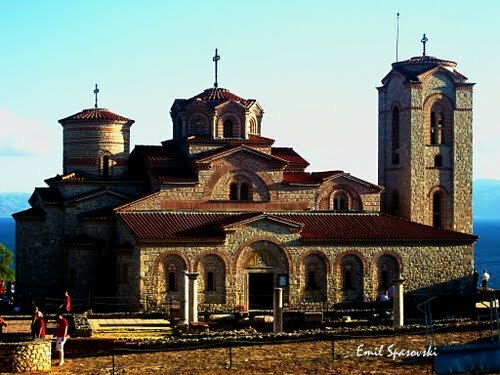 The main part of the Saint Sophia church was built in the 11th century, while external additions were built by Archbishop Grigorie in the 14th century. 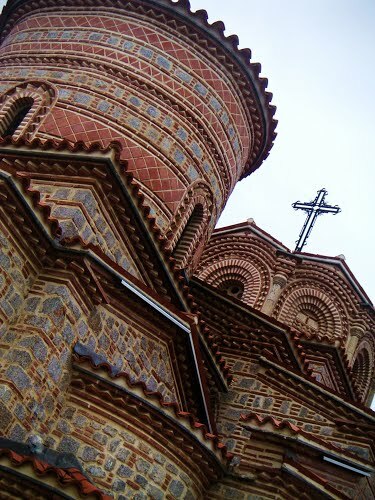 The date of the construction of that church is uncertain because there are no inscriptions that help reveal it. 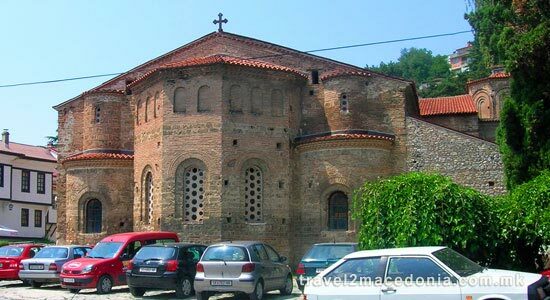 It is also mentioned that today's church was either built or restored during the period of the Archbishop Leo who was on the throne of the Church in the period between 1035-1056. 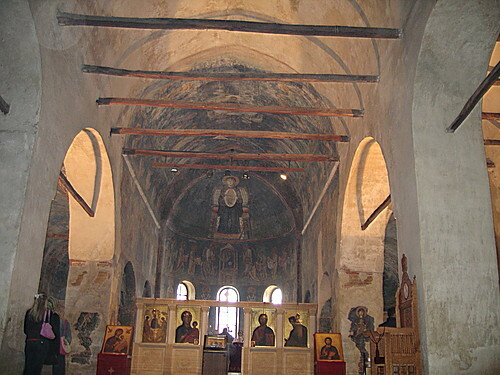 His esteemed ecclesiastical principal became a donor of the painting decorations in the church of St. Sophia.